I recently came across a very interesting interview between Jeff Bishop and Matt Campbell, a Millionaire Roadmap student (Jason Bonds premium stock trading education service). I love hearing about other traders who are finding success with trading stocks and I thought my readers might find some inspiration by hearing some of the success stories. The story of Matt Campbell, a Millionaire Roadmap Student is one such success story. You can watch the full interview with Matt Campbell and many other Millionaire Roadmap Students Here. Matt Campbell is already close to realizing $300k profits from stock trading with Jason Bonds alerts this year! Who is Millionaire Roadmap Student Matt Campbell? At the time of this interview, Matt had just left his full time job to pursue stock trading full time! He has been trading with Jason Bond since January 2014 – obviously he loves the chatroom and education! He found Jason Bonds chatroom and stock trading educational service from a simple google search, just two months after starting his trading career. Matt mentions that he lost money trading at first, like most new traders, but he din’t let it discourage him. He considers the initial losses as the ‘tuition cost’. 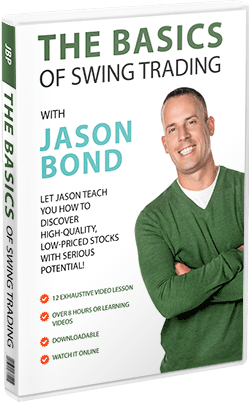 His main message during the interview is that he has seen a lot of people trying to copy Jason Bond by mirroring his trades instead of learning how to trade by themselves from Jasons teachings. These people usually fail at trading stocks. Matt mentions how great Kyle Dennis (Jason Bonds first millionaire trading student that now runs his own trading chatroom) is at finding biotech stocks and making money trading them like he can see the future! Matt is a member of the Biotech Nucleus Program where Kyle teaches his entire stock trading strategy. Matt discusses how Kyle is a very disciplined trader and how he uses Biotech catalyst events to make thousands of dollars per day like clockwork! I have followed Kyle Dennis since he started trading with Jason Bond and I agree 100% with this assessment. After trading with Kyle Dennis for the last year, I am convinced that he is one of the best stock traders that the world has EVER seen. He is young, but his profits are consistent, large and easy to replicate if you follow his rules. As 2017 fades away, I urge you to give some thought to trying out some of the stock trading services discussed briefly in this short article. Jason Bond and Kyle Dennis have taught thousands of students to trade successfully (including myself!). It could be the most productive thing you do at the start of 2018! Have a superb New Year!